UAE Team Emirates has confirmed the arrival of Fernando Gaviria. The Colombian rider makes the move from Quick-Step Floors. The rumours that have been circulating in the last weeks about the future of the Colombian sprinter have been confirmed by UAE Team Emirates. 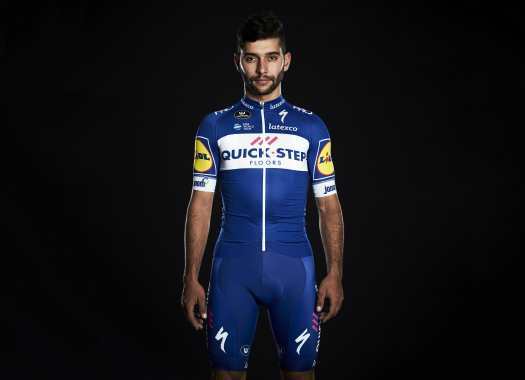 Gaviria has broken his contract with Quick-Step Floors to move to the Emirati team. The winner of four stages in the Giro d'Italia and two at the Tour de France was listening to offers from other teams when there wasn't a clear sponsor for his team for the 2019 season. Despite the arrival of Deceuninck as a title sponsor of the team, the rider has taken the decision of moving to UAE Team Emirates. The rider will join his fellow countrymen Sergio Henao, Juan Sebastian Molano and Cristian Muñoz at the new team and will gain from the experience of other fast men like Alexander Kristoff. Gaviria will join UAE Team Emirates' camp on the 30th of October to meet with his new teammates. ??? ?Welcome @FndoGaviria, who joins #UAETeamEmirates' cycling project!